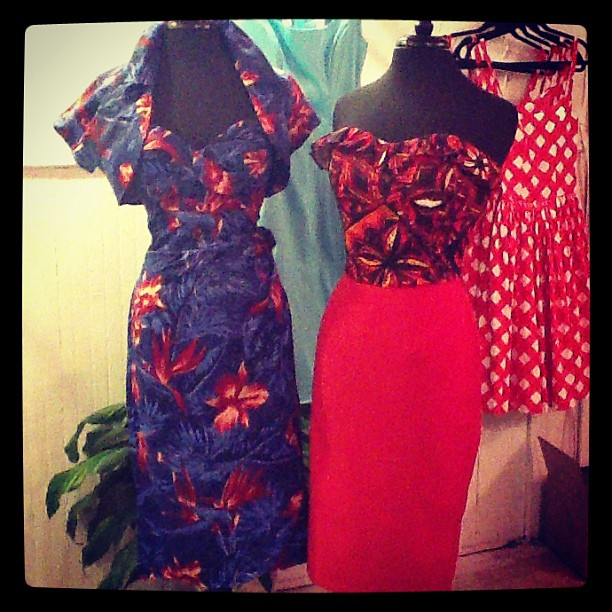 SlapBack Boutique: Enjoy 50’s-Inspired Vintage Fashion! SlapBack opened its doors in February of 2013. The boutique’s owner, Renee, saw a need for a 50’s-inspired, vintage shop in Williamsburg/Brooklyn, and now that need has been successfully filled. 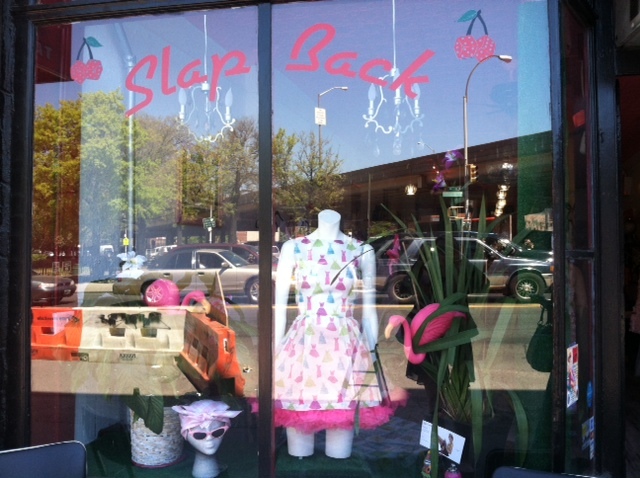 SlapBack offers dresses, shoes, accessories, and more. 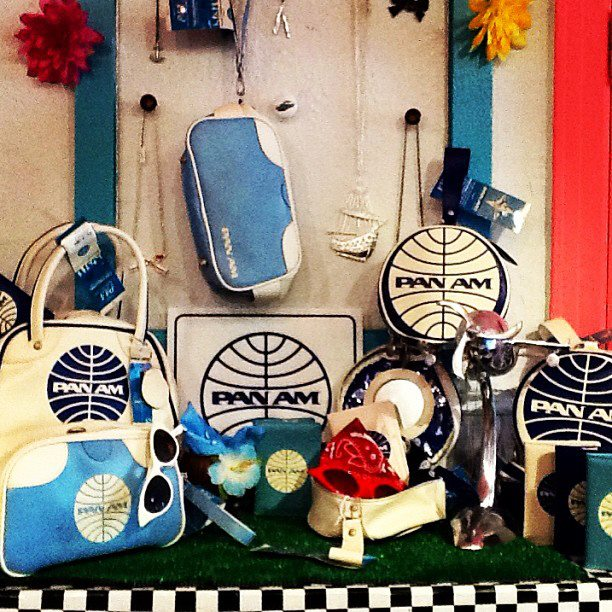 These classic vintage pieces are for any type of woman. 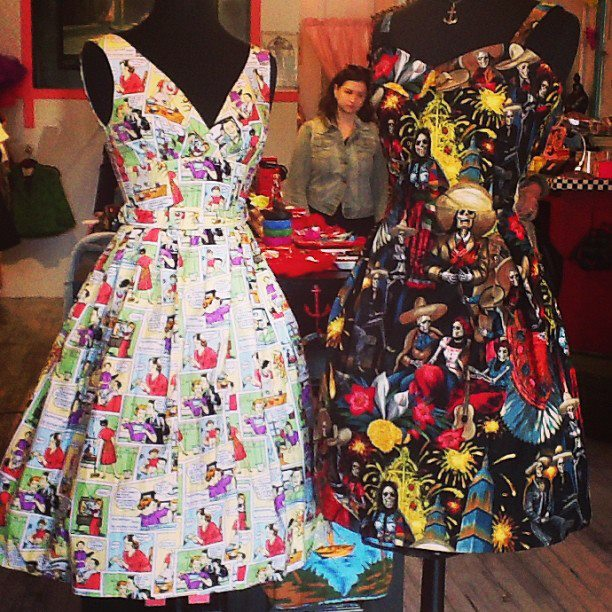 The pieces are clearly for women who enjoy pin-up and Rockabilly fashion. However, any woman could find a great outfit to fit the need for other occasions, such as graduations, birthdays or even for work. The silhouettes are very unique, with classic silhouettes, that compliment a diverse range of women’s figures. 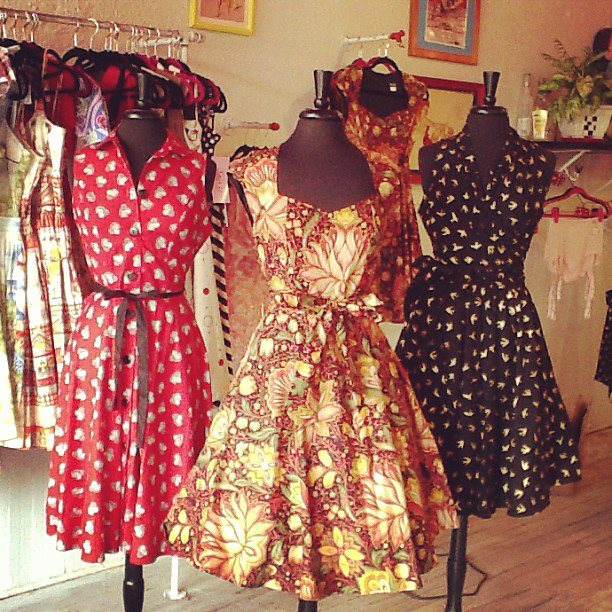 So whether you are a size 2/4 or a size 10+, you could still find something great at SlapBack. The prices are also very affordable with accessories starting at $8 and dress prices ranging from $40 t0 $240. Frequently, sales will also occur, and you can keep up with those by visiting often at 490 Metropolitan Avenue or via Facebook updates, so like their page now! 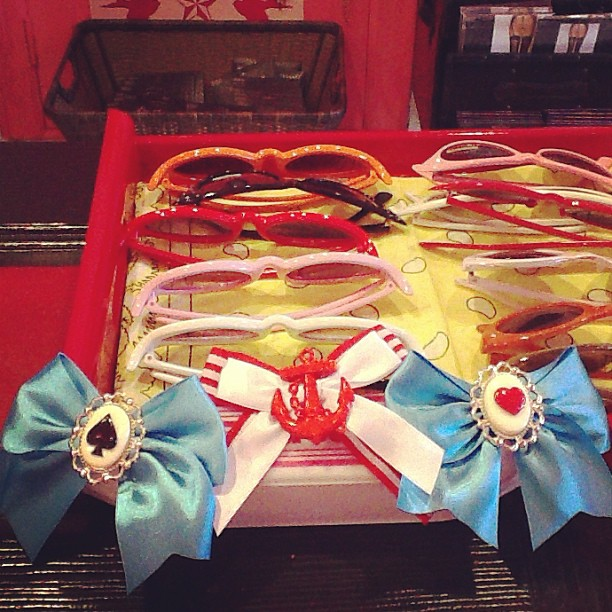 Renee has developed a great system for handpicking the eye-catching designs that she carries in her store. 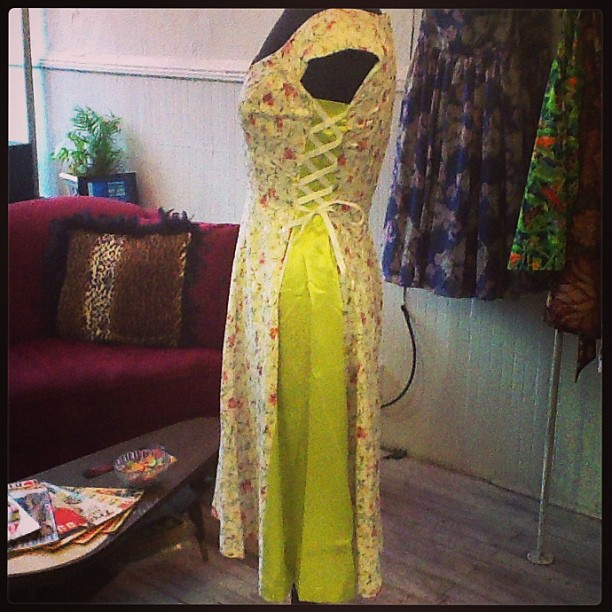 She strives to make sure that the pieces fit directly within SlapBack’s overall theme of 50’s-inspired, vintage pieces. She wants to maintain a unique shopping experience for her customers, so she also strives to carry a diversity of styles by using a wide range of designers-Kenley Collins, Pinup Girl Clothing, Bettie Page, Bernie Belle Dexter, Folter Clothing, Vanity Project, dresses by Limb, Steady Clothing, etc. SlapBack is often putting out new pieces, so if you see something you like, its best to get there fast and make the purchase as a small number of each selection are available. The pieces at SlapBack are also great no matter the season. Many of the pieces can be worn with tights and as the seasons change, the fabrics that the designers use would also be switched to be that of a thicker material. As far as trends and colors go for a given season, its really the nature of these dresses that guide, not given trends. The shopper who will purchase these pieces will want the outfit to go bold with its color or a given print, so feel free to enjoy your selections year-round! Renee is humbled and so thankful by the success she has experienced in the past several months. She is eager to keep pleasing her customers, both regular and new! In fact, she is already looking into opening another shop in the next year, likely in another state. One area she contends that SlapBack would never enter is that of website or online sales. Renee works hard to forge great relationships with the designers she stocks and would never want to take away from their online sales. So for now, in order to purchase any of the types of great pieces you are seeing from this post or more, you must go to Williamsburg. However, stay tuned as I feel confident that in a year’s time or probably less, a new SlapBack will splash onto the scene and you never know, it could be near you! It’s Time Again for the PONO Holiday Sample Sale!! BaubleBar + Godiva = A Perfect Shopping Experience! Pono by Joan Goodman — Sample Sale is this Week!! 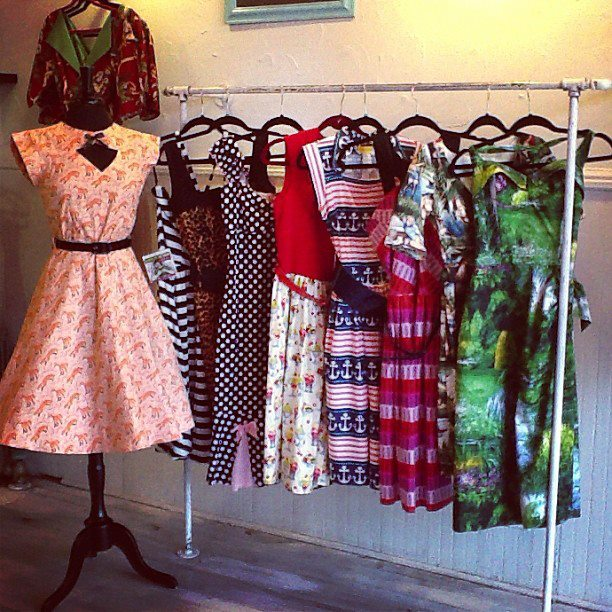 More on Pop-up Shop Creeds Collective — A Fashionably Good Cause & Events Galore! This entry was posted in Retail Spotlight. Bookmark the permalink. 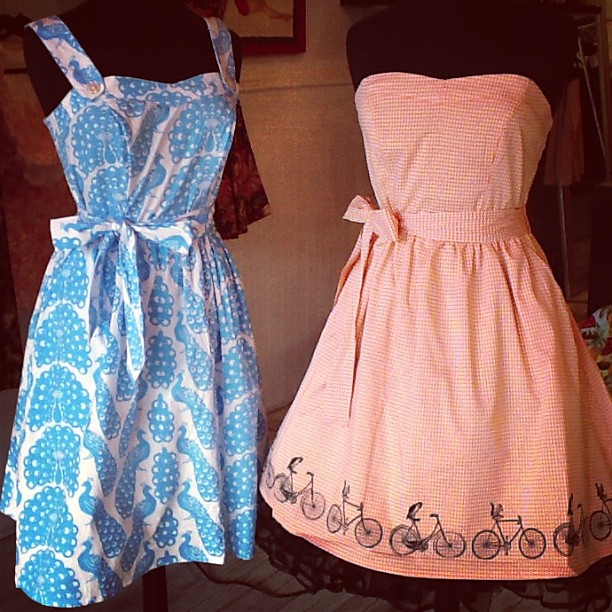 These dresses are gorgeous and I still continue to see new great ones, everyday. If you are ever in Brooklyn, definitely go by! I think you emailed me as well. I am trying to figure out if when I comment back on here if people are seeing that, so just wanted to see if you get this. If you don’t mind letting me know, thanks!